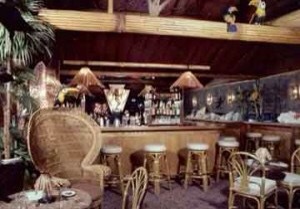 The Mai Tai was created in 1944 by Vic Bergeron, owner of the famous Trader Vic’s. Vic mixed dark rum, fresh lime juice, orange curaçao, a dash of rock candy syrup (think simple syrup, but thicker) and a splash of orgeat (a sweet almond syrup with a hint of orange and rose flower water). This was shaken with crushed iced. A lime and sprig of mint were added for garnish. 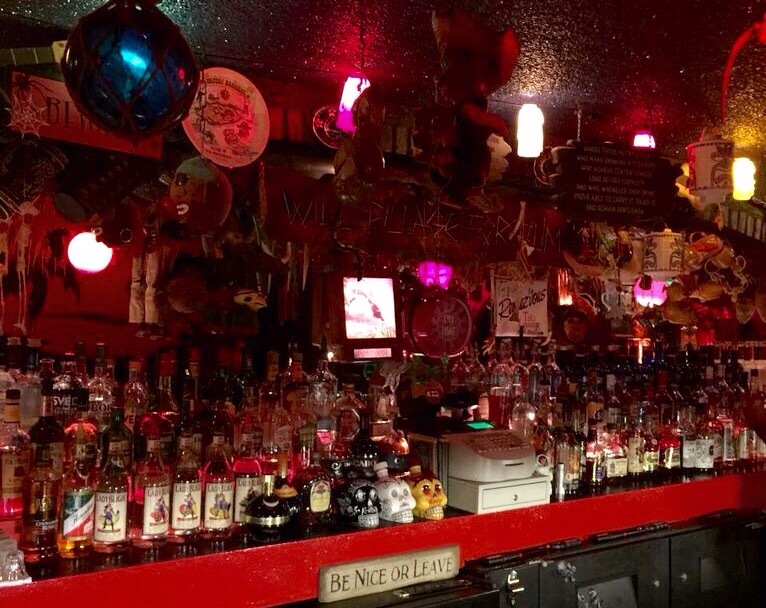 That’s it – no pineapple or orange juice, no grenadine. Not overly sweet, no neon colors. 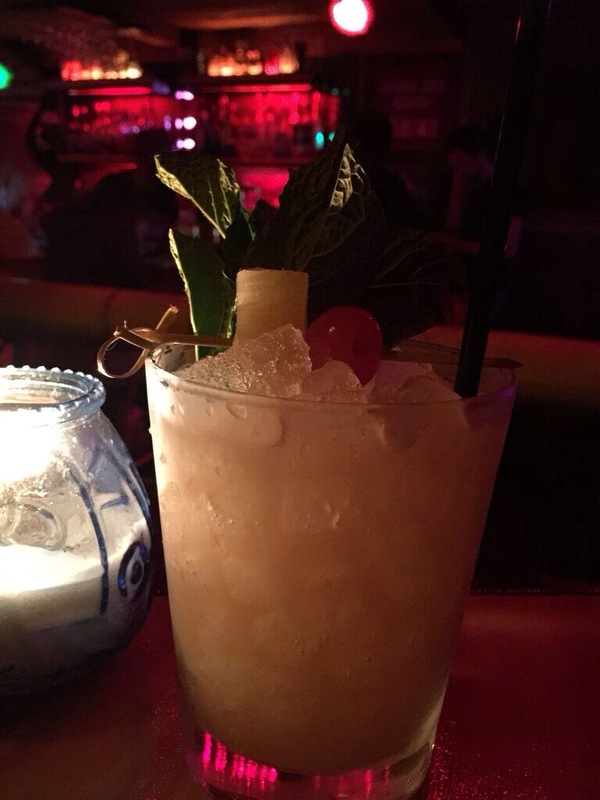 This drink is about the taste of the rum. Mixing it takes time because it’s a ritual. 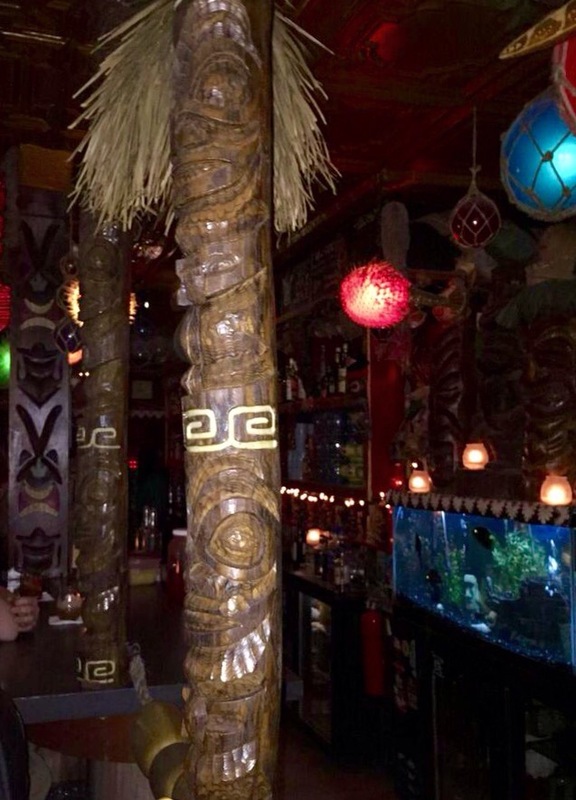 And if you head to a true, traditional tiki bar, that’s what you should get. First, they used plastic skewers for the cherry garnish (an orange slice and pineapple were included as well). Is that being nit-picky? 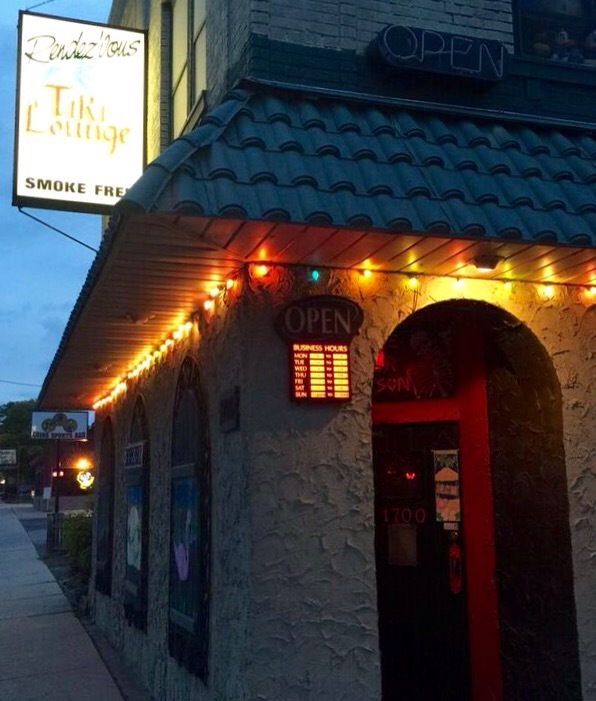 Yes, but to be super authentic, things should be the way they were in the original tiki bars; and in original tiki bars, they did not use plastic skewers. Second, my Mai Tai was pretty strong alcohol-wise (possible dark rum float on top) whereas my friend’s Mai Tai (made by a different bartender) was way more sweet. The inconsistency is a problem for me. 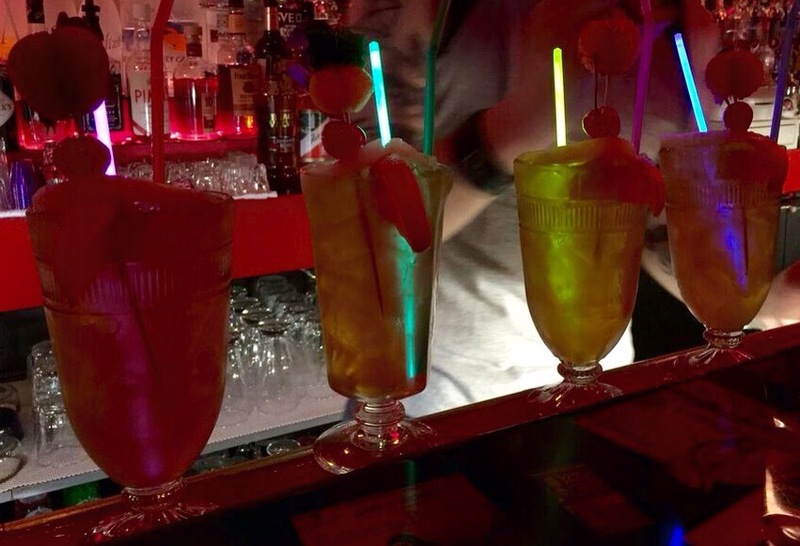 I did love the funky treasures they put in their drinks – glow sticks and plastic rings. I may get some slack for this because numbers 1 and 2 could very easily be swapped. It depends on personal preference. 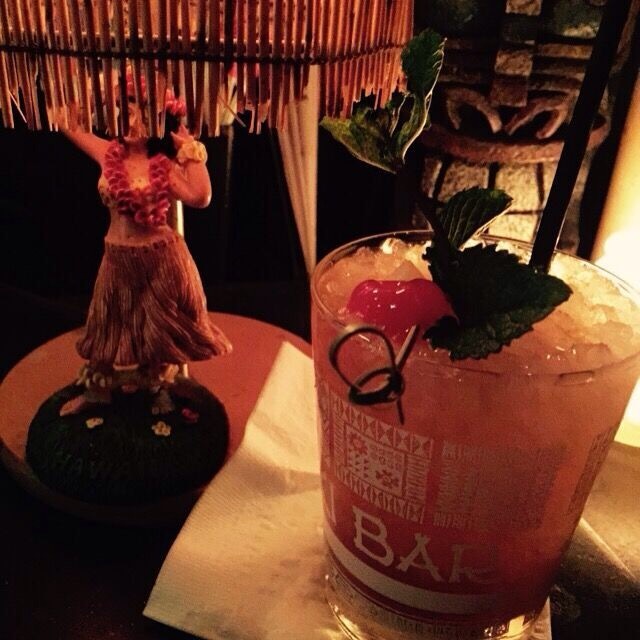 Do you dig a slightly sweeter Mai Tai? 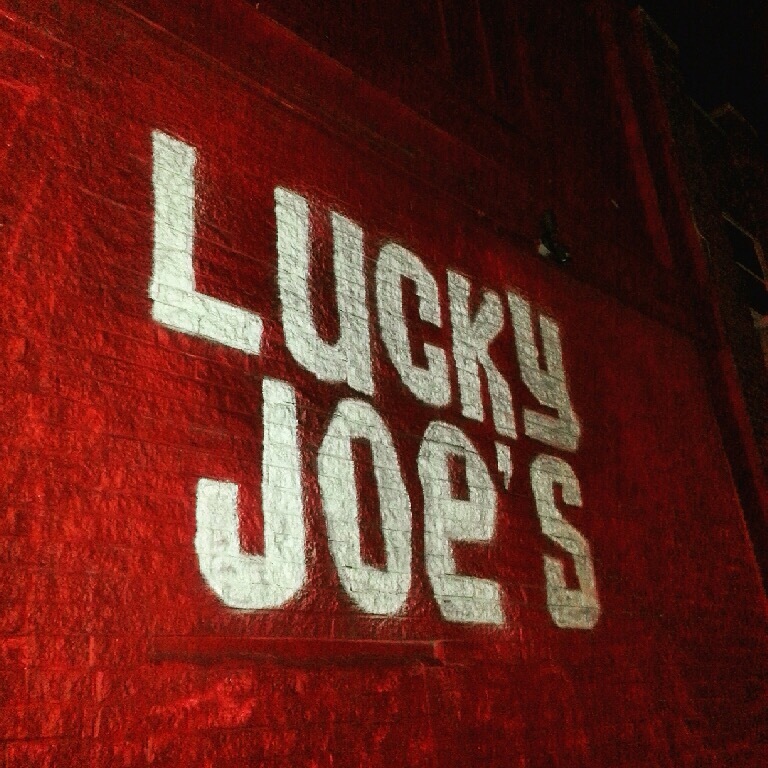 Then Lucky Joe’s is for you! 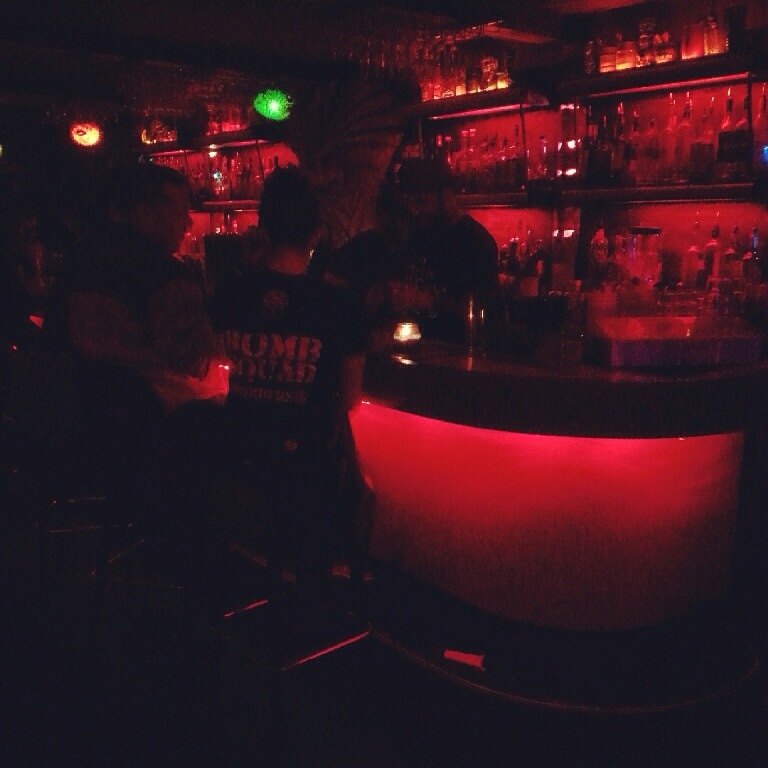 The interior is very polynesian, dimly light and laid back. Surfer movie-type music is played over the speakers. 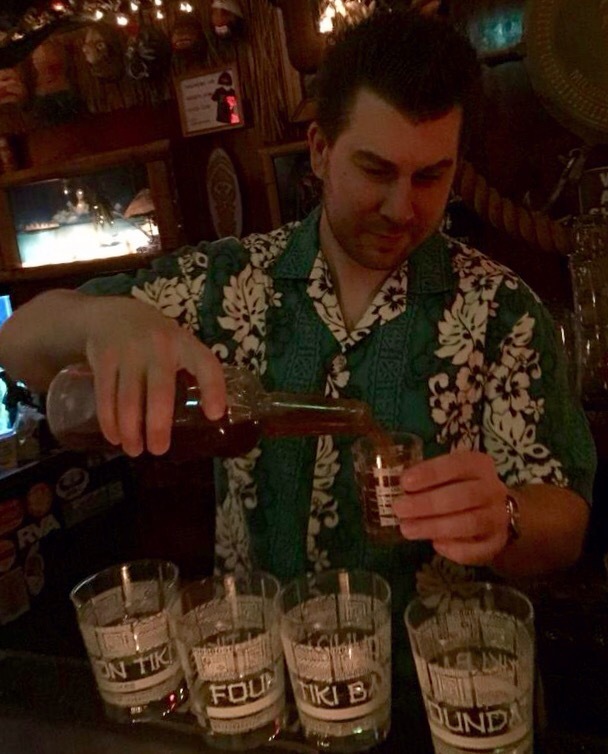 And, most importantly, the Mai Tais are GOOD. Garnished with a pineapple chunk and cherry served on a WOODEN skewer, as well as a spring of mint – just the way it was done at Trader Vic’s. 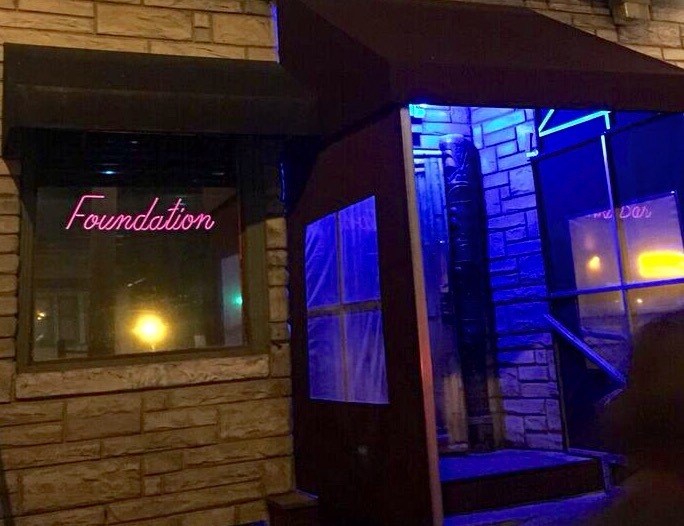 If you like your Mai Tai a little less sweet, Foundation is for you. 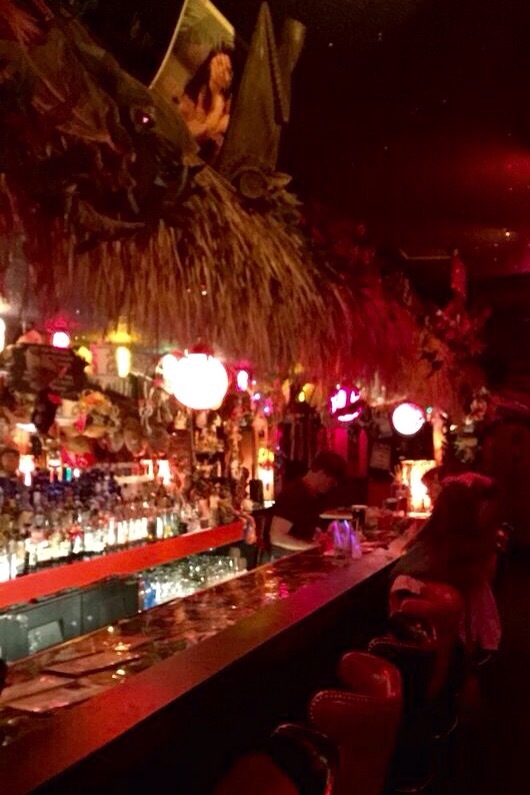 The interior is retro-polynesian, the music is swing/surfer/fun and our bartender was awesome. When you add a DELICIOUS Mai Tai to that, you are bound to have a great time. Mai Tais at Foundation are served the Trader Vic way – cherry and pineapple garnish on a WOODEN skewer and a sprig of mint – I was able to taste all of the subtle almond and orange flavors. 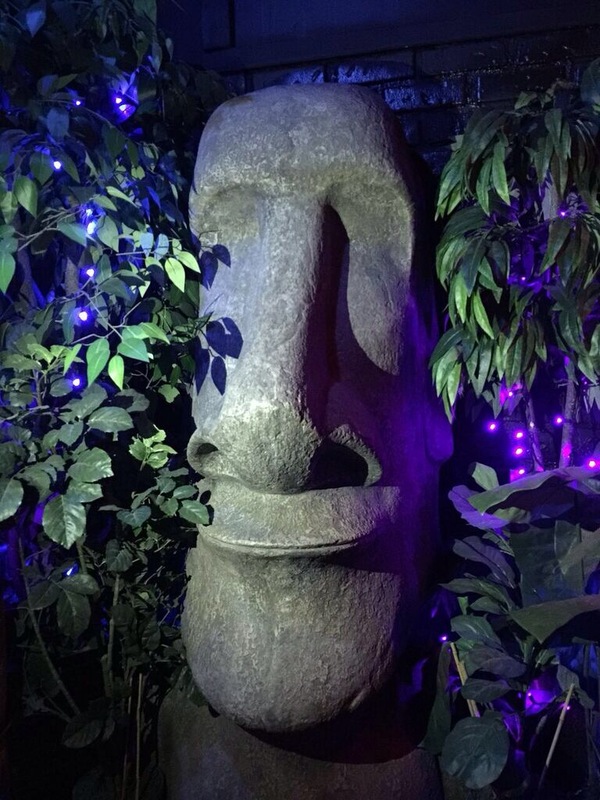 As I said earlier, Foundation Tiki and Lucky Joe’s could very easily swap positions depending on your preference, but I know I’ll definitely be back for more Mai Tais at both places.